The Centre for Quaternary Science and Geoarchaeology (QSGA) is pleased to announce its twelfth annual colloquium in honour of Martin Schwarzbach. This year, our meeting focuses on human dispersal and paleoclimate at the crossroad on the Levant. 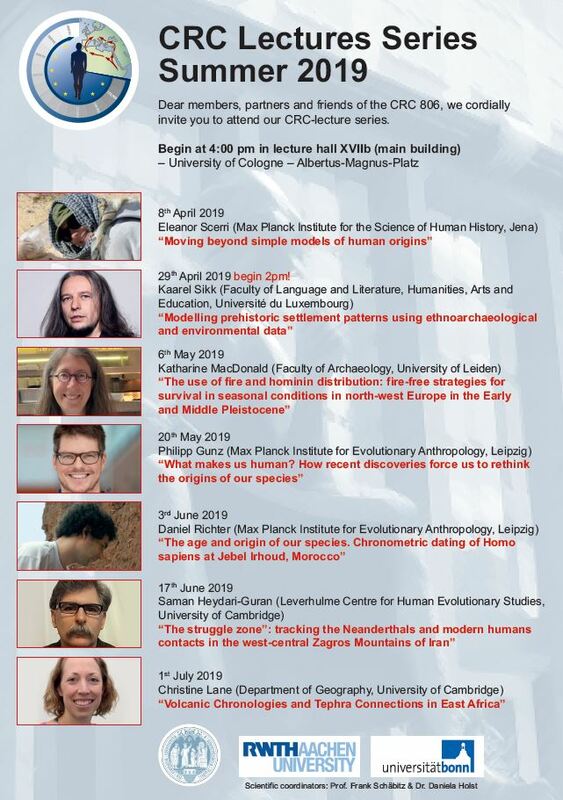 We are especially pleased that Thomas Litt (University of Bonn) and Michael Petraglia (Max Planck Institute for the Science of Human History) have accepted our invitation to Cologne. We would like to extend a very cordial invitation to this exciting meeting! If you are interested in attending, please reserve a seat using our online booking system or send an email to the IRTG Office till April 18, 2018. This entry was posted in Schwarzbach Colloquium.